I am proud of The Official Brunch Club Manchester. We are a group of friends first and foremost who just happen to be bloggers. We meet up semi-regularly for food (usually brunch) because we like each other’s company. Our group of friends total 14 and include the following people. Please follow their blogs and Instagrams! Want to work with us? Read further. What is the official brunch club Manchester? 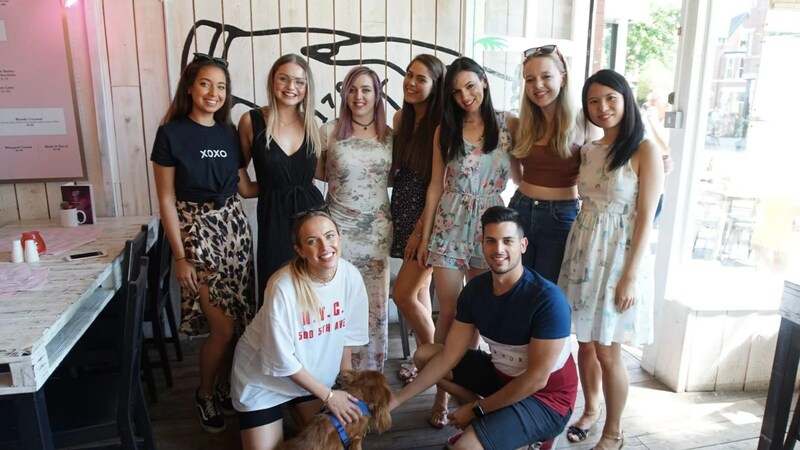 We’re a group of 14 bloggers (and friends!) who live and work around Manchester. Some of us are elsewhere or travelling. We like nothing more than to meet up for brunch (and lunch…and dinner) and we’re obsessed with taking photos of our food and sharing them on our blogs and social media. We liked doing it so much that we set up our own Brunch Club Instagram and have been snapping our way around Manchester ever since! There’s nothing we like more than photo-worthy smoothie bowl or an Instagrammable latte and we love putting our own individual and unique styles on our photos and content. We bring up to 10 local and established bloggers to your café or restaurant, all with their own loyal and engaged following. We take photos and create content to be used on our own individual social media platforms and blogs post-visit, as well as creating aesthetically pleasing Instagram stories during the meal. Within our Manchester crew, we have a combined total reach of 44k+ on Instagram and 12K+ on Twitter. In addition, we also post on our Official Brunch Club Instagram. It’s easy! If you are a restaurant, cafe or street food vendor, simply give us a follow on our Official Brunch Club Instagram (@theofficialbrunchclub) or Facebook page and send us a message. We’ll be in touch with you ASAP to arrange our visit to your eatery.